A short biography of Helmut Kirschey, who was probably the last surviving German anarchist to have fought with the Durruti Column in the Spanish Civil War. Helmut Kirchey was born 22nd January 1913 in Elberfeld. His father was an active member of the Social Democratic Party, who died on the front in 1917. Hunger affected the family, with Helmut’s mother seeking work in France. She became the first member of the Independent Social-Democratic Party (USPD) which opposed the war and in 1920 joined the Communist Party (KPD). She was also a speaker for The International Federation of the Victims of War, which agitated around pensions for the victims and widows of war. In May 1924 she was elected as a KPD councilor in Elberfeld. She died in 1924 as the result of a botched intestinal operation at the age of 40. His mother’s commitment had a profound effect on Helmut and he always spoke about it with pride. His three older brothers were all active in the KPD and Helmut and his younger brother joined the children’s organization the Red Pioneers and then the Communist Youth. But in contrast to his brothers who remained with the Communist Party, Helmut left the Communist Youth in 1931 to join the Anarchosyndicalist Youth (SAJD) and the Freie Arbeiter Union, (FAUD) the anarchist union set up by Rudolf Rocker and others. Helmut detested the centralism of the KPD and the power abuses of Stalin. The anti-authoritarian atmosphere of the anarchosyndicalist movement pleased him very much. The Wuppertaler anarchosyndicalists were not very numerous but extremely active, above all the SAJD group, which became a kind of replacement family for him, because after a disagreement with his sister he left the family home in 1931. From 1932 Helmut lived in the house of the anarchist family, the Benners. The three sons of the family, Fritz, Willi, and Eugen were active in the SAJD and the FAUD. The Wuppertal anarchists created an antifascist combat organisation Die Schwarzen Scharen (The Black Crowds) They dressed in black and bought weapons to combat the Nazi thugs on the street. After a police raid a weapon was found on Helmut and he served a short prison term. In March 1933 he was arrested in the street. The Brownshirts recognised Helmut and were about to attack. Thanks to the loud cries of Mrs Benner a crowd gathered and prevented the Brownshirt attack. The police arrived and arrested him. He stayed in an old prison re-designed as a concentration camp until November 1933. On his release he came under Gestapo surveillance and fled to Amsterdam. There he worked in the group German Anarchosyndicalists Abroad, (DAS) the exile wing of the FAUD. The anarchosyndicalists in Holland were few with approximately 3,000 members and with most of them out of work because of the crisis. Nevertheless, they were able to support the exiled German comrades, and Helmut was deeply impressed by this solidarity. When the Spanish Civil War broke out in 1936, Helmut, together with Fritz Benner, who had had to flee in 1935, and two other comrades, he drove with false papers to Spain. At the border they were welcomed by the anarchist militias. In Barcelona they lived at first in a collectivised luxury hotel, where Helmut wore pajamas for the first time! Later they lived in the mansion of the former Nazi leader in Spain who had been an attorney for the Merck company. Here he was part of a group of 40 German anarchists. 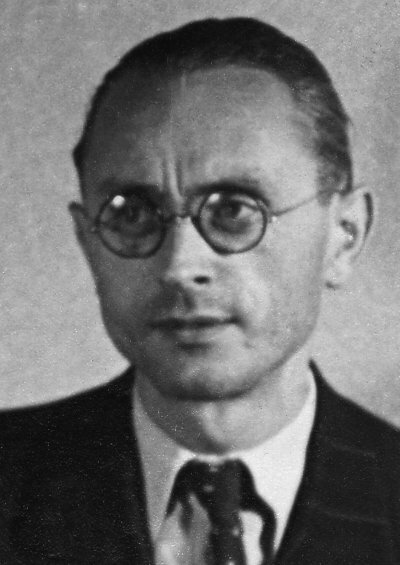 During the May Days of 1937 in which the Communists consolidated their hold on power in the Republican zone, Helmut was arrested with other German anarchists and put in the secret prisons set up in Barcelona and Valencia by the Stalinists and held until April 1938 in a national prison in Segorbe. After his release he could not remain in Spain. He spent some months in France and Holland finally arriving in Gothenburg in Sweden at the beginning of 1939. There, with Fritz Benner and Hans Vesper, a sailor, who was in the International Transport Workers Federation (ITF). Helmut was illegally active in Sweden, with the support of the ITF, during the war. 1940 was a particularly bad year for him psychologically and financially but he met the woman he was later to marry then. "In this situation it was marvelous to meet a human being who was interested in me." In the 50s Helmut distanced himself from the anarchist movement. Disappointment with close comrades and growing political differences led him to join the Swedish Communist Party, after it had come out against the Russian invasion of Czechoslovakia in 1968, despite his appalling treatment by the Stalinists in Spain! He never denied his anarchist roots, however, and in the 1990s had again grown close to the Swedish anarchosyndicalist union the SAC. In the last five years of his life he became a public figure, speaking in schools and universities and to youth organisations as of his experiences as a German anarchist and antifascist and fighter in Spain. As Helmut K. was a close friend of my dad, from when they stayed together at Frau benners hosue in Colonge, 1932-34 adn then fled togetehr to Holland and finally to Sweden. enough to be believed on what they said..